The Webstars Book Club has been busy! 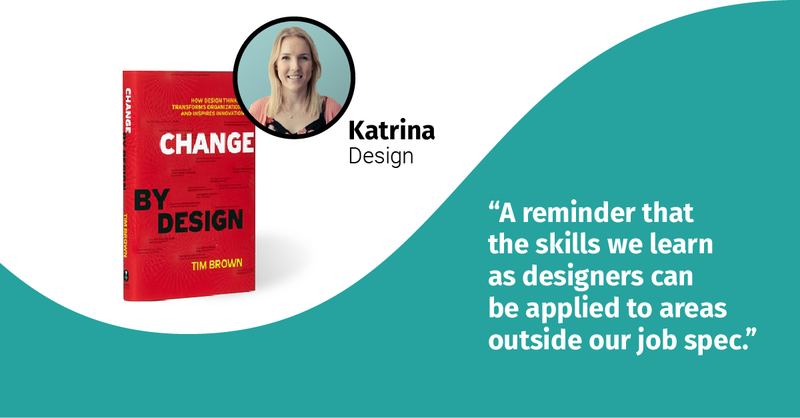 This month we've been reading Change by Design by Tim Brown. 1: I learnt how important it is for structuring your creative sessions so that the most can be achieved at each stage in terms of creativity and innovation. 2: It was a useful insight into the influence of how you organise your team and office culture to inspire design thinking. 3: There are advantages in having the strength to let a bad idea die early through prototyping designs and getting everyone involved to draw their ideas. This allows everyone involved to react to it in real life. 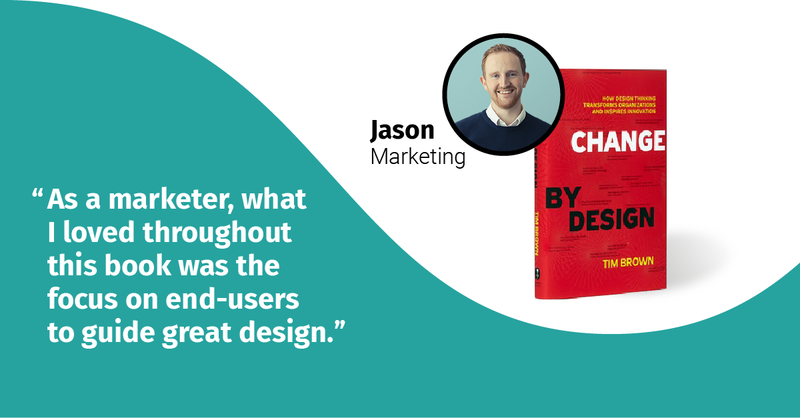 1: It’s about how design thinking can be applied throughout the whole organisation and it gave me ideas on how, as designers, we can facilitate that. 2: The best ideas come from collaboration, looking at things from different perspectives, and being allowed the time and space to research and bounce ideas around. That means involving different people with different skill sets in your design processes. 3: It reminded me that my skills in design thinking can be applied to problems and solutions beyond my usual job description - for example how we run a client meeting or how we communicate our unique qualities as an agency. An increasing number of B2B marketers are embracing Account Based Marketing (ABM) as part of their overall marketing efforts and strategy. Are you making the most out of cultural trends in your marketing? When your brand and your audience’s values are aligned, they are 1.5x more likely to purchase from you, so it makes sense to be sure that you and your audience are on the same page.